Tis' a right of passage for every Call of Duty game to feature an unbalanced, overpowered weapon or tool that begins to get exploited by the playerbase for cheap wins as soon as they learn of its existence. In Modern Warfare, it was the M16. In World at War, it was the MP40. And, in Call of Duty: Black Ops 4, it's the 9-Bang grenade. A flashbang projectile that can be cooked to increase the length at which it disorientates enemies, a fully charged 9-Bang can completely blind and stun a player for several seconds at a time in Black Ops 4. 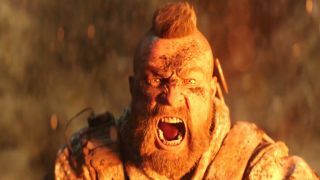 That makes it a valuable tool in both the game's traditional multiplayer and its Blackout battle royale mode, as players are frequently cooking the 9-Bang all the way to 9, as it were, before unleashing it upon hapless foes and swooping in for an easy kill. Treyarch already nerfed the 9-Bang in last week's Black Ops 4 patch, increasing its charge and fuse time while removing inventory stacking in Blackout, but this apparently hasn't been enough to quell the tide of flashbang kills across the game's PvP ecosphere, nor the trend of people taking the piss out of it online. Treyarch has yet to respond to the community's jokes or requests to dilute the 9-Bang's power further, but the studio has proven quick at adapting to rising issues and balance disruptions in Black Ops 4's meta so far, which means another nerf could be incoming shortly. In the meantime, players will just have to laugh off the ridiculously long stun times of the 9-Bang with more internet memes and deep cut references till a permanent solution appears. Hey, at least it's not as bad as the Akimbo Model 1886's in Modern Warfare 2. If it's not just 9-bangs that are getting in your way of victory in Call of Duty, check out our Black Ops 4 Blackout tips for advice on staying alive in Treyarch's battle royale mode.